The Autumn Equinox occurs on Friday, September 22, 2017. This marks the official start of fall. Autumn is an exciting time to be in Big Sky, Montana. The fish are biting, the temperatures drop, the leaves change colors, and the steady flow of visitors takes a small break before ski season. It's the ideal time to visit our mountain town. Whether you want to kick back and relax, enjoy a stunning hike in the Lee Metcalf Wilderness on a crisp afternoon, spot wildlife in Yellowstone, go hunting for bighorn sheep, or take a scenic drive throughout the Treasure State, you won't be disappointed with fall in Big Sky Country. You might even decide that the laid back approach to fall in Big Sky is your favorite time of year. If you're looking for things to do in October in Big Sky, it's definitely a quieter time of year than the jam packed summer months or the wild winter season, but there are still a few things that you might want to add to your calendar. Perhaps the most exciting thing that happens in October is that the mountains typically get their first dusting of snow. That means it's time to start the countdown to opening day of the 2017/2018 Big Sky ski season. Will you be there on Thanksgiving Day - Thursday, November 23, 2017? Hope you're as ready for winter as we are! Did we miss anything? Contact us and we'll add it to the calendar! Share your events by the middle of next month to ensure that we can publish them in the next Things To Do In Big Sky post. 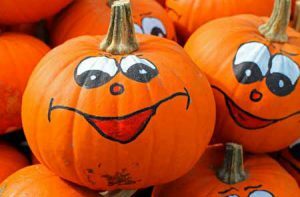 This list of events hits on some of the major things to do in October in Big Sky. We'd love for you to poke your head into the Visitor's Center (across from the Conoco) to find out about more fun things to do in Big Sky. Other ways to stay up-to-date on our mountain town is via social media, Explore Big Sky, or checking out local bulletin boards. There's always something going on and it's always fun. Will you be in Big Sky in October? If you share your Big Sky experiences on social media, be sure to use the tag #visitbigsky. See you soon!